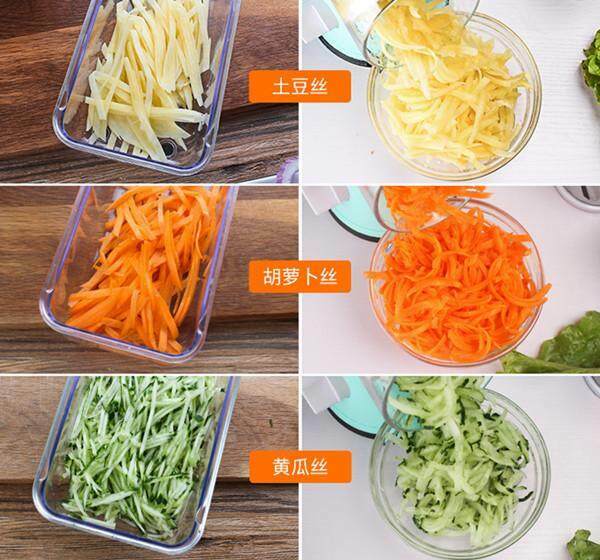 Vegetable slicer will help you to quickly cope with cutting fruit or vegetables for your dish, saving not only time, but your strengths. 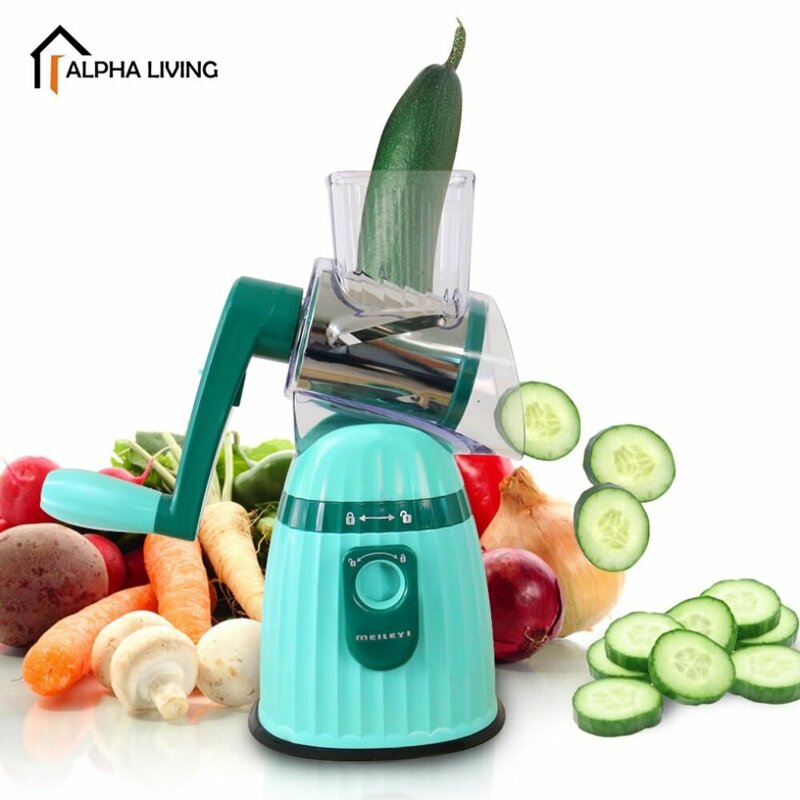 A convenient and practical slicer, it has three different types of stainless steel knives that allow you to cut both large slices and grind vegetables and fruits to the required sizes. 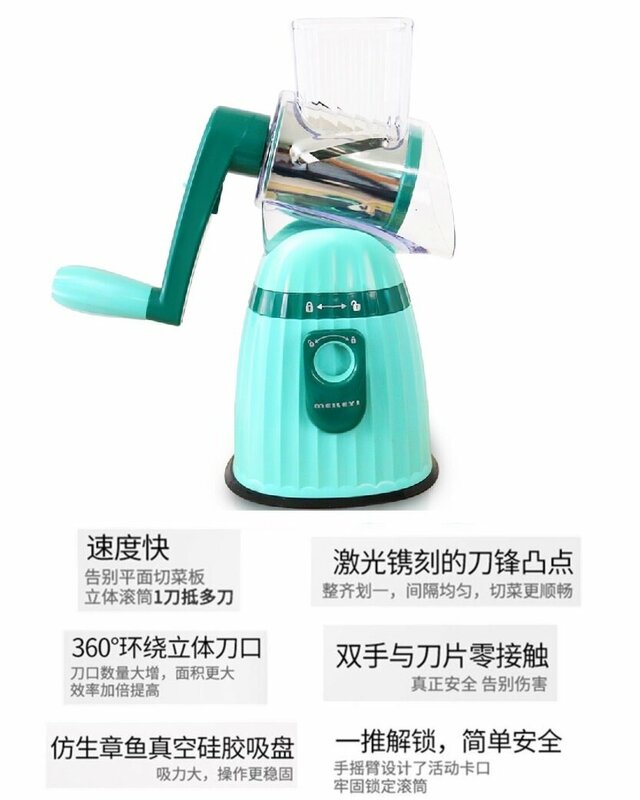 The device has a convenient plastic handle and a lock button, which will come in handy if the house has small children. 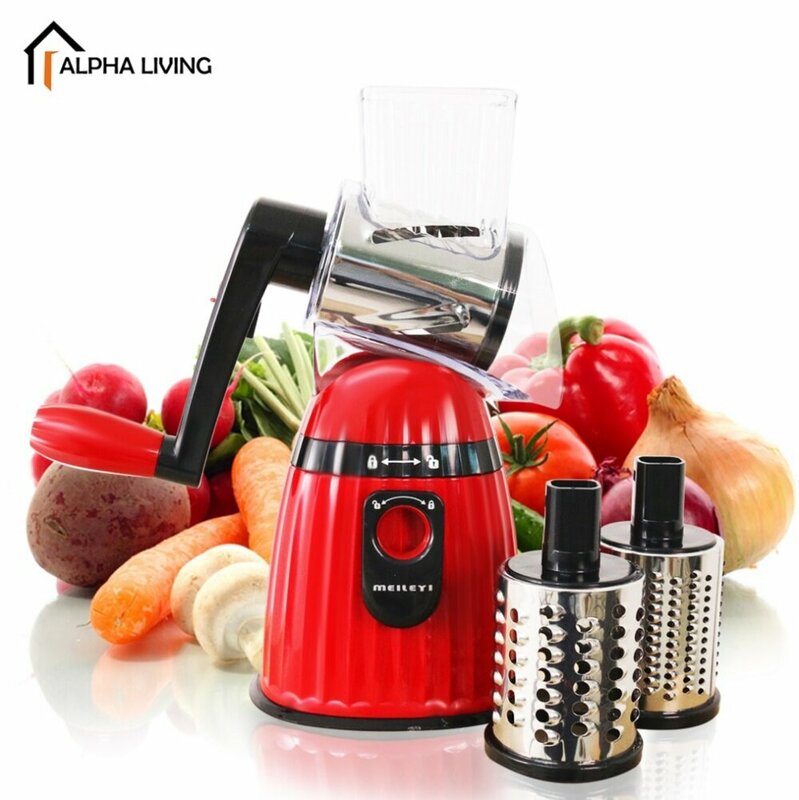 With such a device you can easily and quickly cut all the necessary vegetables for a salad or chop fruits for dessert and please your family with delicious and important healthy home-made food! 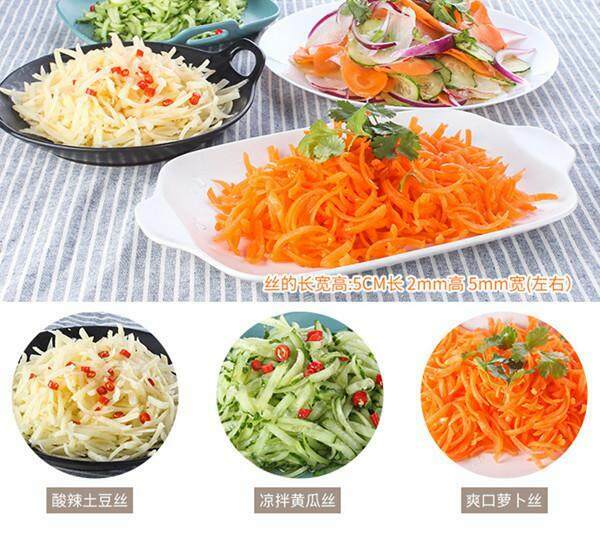 A simple and practical appliance will allow you to cut vegetables for a salad quickly and effortlessly. 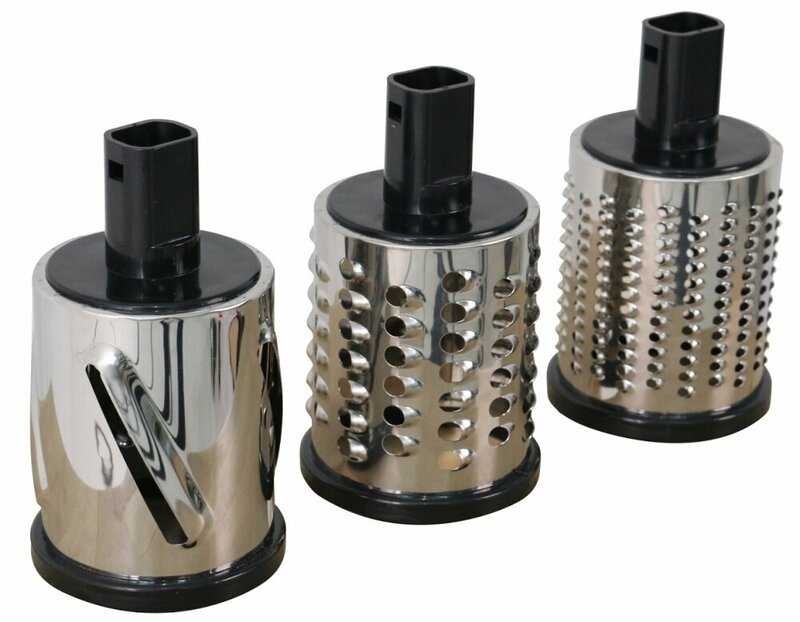 Stylish ergonomic design of the device perfectly fits any kitchen interior. 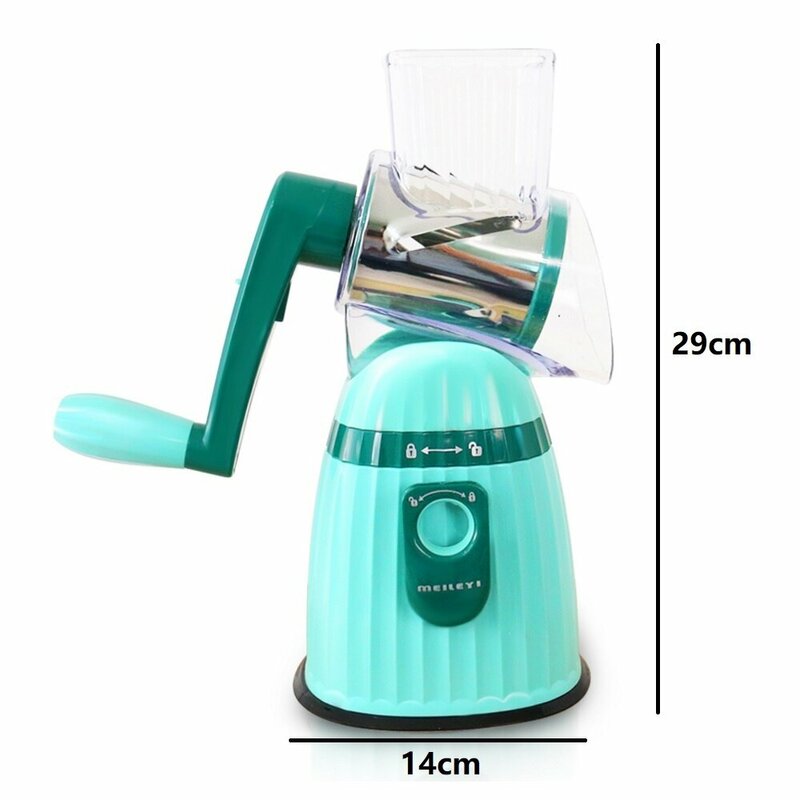 Due to its compact size, the slaser does not take up much space in the kitchen. 3 different stainless steel knives.